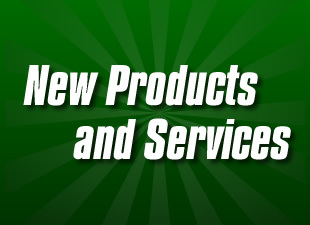 Shelbyville, KY - June 27, 2013 - Farrier Product Distribution, Inc. (FPD), a leading wholesale distributor of Farrier products, has announced the hire of Fred Ruddy, who joins the company as General Manager. In this position, Ruddy will oversee FPD's general operations and assist the executive officers with planning, production and human resource management. "This position was added as a result of the extraordinary growth the company is experiencing, and allows us to align our staff in positions that best fit their strengths while supporting our goal of delivering superior service to our customers," states Dan Burke, president of FPD. "Fred brings experience and a unique perspective to our business and we are happy to have him join the team. He is a talented manager with the exceptional ability to understand technology, analytics and the best practices for the organization of our warehouse and distribution operation." Ruddy joins FPD with over 15 years of successful experience as a manager, system's analyst and inventory specialist; primarily in manufacturing and distribution. Most recently he was responsible for opening a distribution center in Shelbyville, KY for the Kittrich Corporation, serving as Plant Manager. He began his career as a Systems Analyst for Leggett & Platt, Inc., located in the corporate office in Carthage, MO, as well as holding the position of Branch Manager of the Southern California Bedding Components Distribution Center in South Gate, CA. About Farrier Product Distribution, Inc.
Farrier Product Distribution (FPD), founded in 1990, is a wholesale distributor of farrier and related equine products. Considered a leader in bringing groundbreaking products and service to the Farrier industry, the company distributes to suppliers throughout North America. More information about FPD can be found at www.farrierproducts.com and www.farrierproducts.com/blog.